Our Spoken Word workshops are taught by leading poets, writers and spoken word artists. Just Add has been bringing spoken word poetry into classrooms for over a decade. Our creative practitioners approach spoken word poetry as a tool for literacy, empowerment, engagement, education and community-cohesion that can be used across many subject areas. Spoken word workshops/lessons can be arranged around your timetable and delivered during the school day, as PPA or part of a themed week, or in an afterschool club. Spoken word can involve collaboration and experimentation with other art forms, including music, theatre and dance. It can be used by participants to tell their stories or to explore the stories of others. As an introduction to spoken word we offer a school assembly performance, this participatory performance is a perfect introduction to spoken word poetry. Pupils will learn how to write and perform spoken word, considering intonation, tone, volume and action. Rap workshops appeal to children and young people from a wide range of backgrounds and any age group. This fun learning activity offers the opportunity for participants to express themselves freely in a creative way. The themes for a rap can be decided in advance or they can be decided upon as part of the activity. Rapping encourages young people to look more closely at the words they choose and broaden their vocabulary. Young people who may normally shy away from writing can be motivated to put pen to paper as they twist and shape their words into the right rhyme and rhythm. The workshops provide a safe environment for young people to articulate their views about sensitive issues and express their emotions in a structured way. 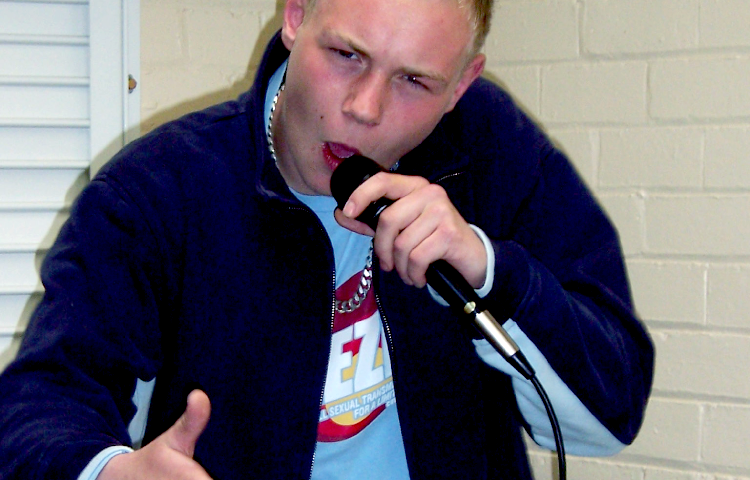 In our experience, rapping works very well to engage challenging and disaffected young people. Drama lessons/workshops are aimed at increasing participants’ self-confidence, improve communication skills and encourage risk taking whilst maintaining a sense of fun. We can work with you to enhance many parts of the school curriculum or you may want us to cover a specific area for example scripting a radio drama or school play. Our activities are inclusive and our practitioners encourage everyone to participate through speaking and listening games. We have lots of experience working with challenging and disaffected young people who respond to the opportunity to express themselves and the issues that are important to them. Our experienced practitioners can design drama workshops/lessons around your timetable, as PPA, part of a cross-curricular topic or an afterschool club. Pupils will learn how to improvise and script drama for a range of audiences, write and perform play scripts and draw inferences such as characters’ feelings, thoughts and motives from their actions. We also have a variety of story drama workshops and large group storytelling activities.